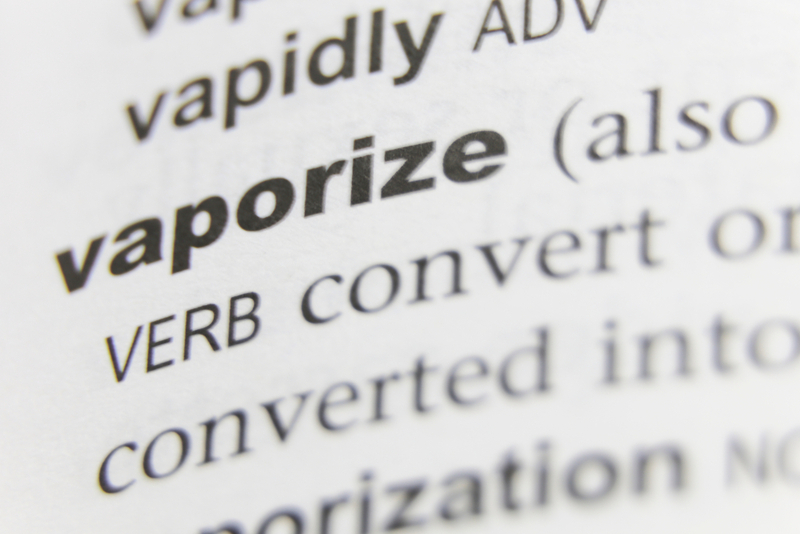 If you’re a newbie vaper, odds are you’ve already realized that the world of vaping has a language all its own. Vaping for beginners can be an overwhelming experience, especially with the huge array of unique vape terms and slang. To help you get started, South Beach Smoke has put together a handy guide to all the important vape vocabulary you need to know to make the most of your early vaping experiences. Airflow: Refers to the intake of air on your vape device, usually adjustable to suit your vape preferences. Increasing airflow typically results in cooler vapor and larger, more voluminous clouds. Atomizer: The part of a vape device that contains the bridge, coil, and wick. The atomizer is the element that actually vaporizes the e-liquid. Box Mod: A specific style of vape device that typically has a box-like shape and is powered by lithium-ion batteries. Clones: An inauthentic or knockoff version of vape equipment (as opposed to the originally patented and properly manufactured model). While the low prices of clones might be tempting, it’s usually best to avoid these counterfeit models. Cloud Chaser: A vaper who enjoys maximum vapor production and is constantly looking for new ways to create bigger and better vapor clouds. Coil: The primary heating element in a vape device, made with wrapped wire that’s contained within the atomizer. Coil style and material can vary considerably and produce very different vape results. Dripping: A style of vaping that involves dripping e-liquid directly onto the atomizer (wick/coil). Typically, dripping is associated with increased flavor and vapor production. Drip Tip: A tip, usually ceramic or plastic, added to tanks and clearomizers to improve comfort. Dry Hit: A burning, flavorless draw that occurs as a result of insufficient e-juice levels or burned out wicks. E-Liquid: The flavored liquid vaporized by your vape device, creating the fluffy, delicious vapor clouds (also called e-juice and vape juice). Among the most popular vape juice flavors are tobacco, menthol, and dessert-inspired liquids. Fire Button: The button on a vape device that activates the heating element to begin the vapor production process. Some devices don’t have a fire button, because they are draw-activated. Flooding: A situation in which excess e-liquid is in or on the atomizer, leading to gurgling sounds and decreased vapor production and flavor quality. mAh: One-Thousandth of an ampere-hour, an electrical charge unit used to measure the battery capacity of batteries. Pod-Based System: An all-in-one vape set-up that uses vape juice cartridges (pods) instead of the traditional tank system. There are disposable, pre-filled pods as well as reusable pods you can fill with your own e-juice. Starter Kit: A comprehensive set of vape equipment that includes everything you’ll need to start vaping, with a wide variety of options from every top brand. Sub-Ohm Vaping: A style of vaping that uses low-resistance coils and a specially-designed device to produce intense flavor and vapor production. Wick: The material that absorbs e-liquid and brings it to the device’s heating element. It can have a major effect on the flavor quality and vapor level. One of the most important first-time vaping tips is that the quality of your experience is directly related to the quality of your vape set-up. South Beach Smoke offers a wide assortment of quality vape products at affordable products, including starter kits, accessories, e-liquids, and more, making it easy to make the most of vaping on a budget. From a convenient home delivery program to e-liquid that goes above and beyond industry standard, there are plenty of reasons to be a South Beach Smoke regular. Find everything you need to enjoy a next-level vape by checking out our newest product releases today! Atomizer: The part of a vaping device that contains the bridge, coil, and wick. The atomizer is the element that actually vaporizes the e-liquid. Coil: The primary heating element in a vaping device, made with wrapped wire that’s contained within the atomizer. Coil style and material can vary considerably and produce very different vape results. Fire Button: The button on a vaping device that activates the heating element to begin the vapor production process. Some devices don’t have a fire button, because they are draw-activated. Wishing all in the Path of Hurricane Matthew Safety!